Jessie Radliff, 92, Kokomo, died peacefully at St. Joseph’s Hospital on November 5, 2018. She was born May 7, 1926, in Jackson, TN to Perry & Ida Pipkins, both deceased. She married Charles Radliff on January 30, 1970, and he survives. Jessie became a nurse, providing in-home care and hospice care until she retired in 1978. She was a member of St. Andrew Episcopal Church in Kokomo, IN and a dedicated member of St. Ann’s Guild of that same church. Through St. Ann’s, she took great satisfaction in raising money to help the needy in the church and the nearby community. Jessie enjoyed spending time with her family, quilting, crocheting, and gardening. She also designed and made teddy bears from recycled mink. Along with her husband Charles, she is also survived by 3 daughters, Joann Rice (Bill), Morriston, FL, Pam Dolce-Nevin, Cincinnati, OH, and Nicki Hammond (Randy), Kokomo, IN; as well as a son, Michael (Susan), Kokomo, IN. She had a son, Steve Dolce (Pam), Peru, IN, who preceded her in death. She was blessed with 8 grandchildren, Whitney Ruddel (Adam), Kokomo, IN, Tucker Hammond (Kristen), Kokomo, IN, Jennifer Douglas (Scott), High Springs, FL, David Scott (Jennifer), Sterling, VA, Jessica Martos (Ralph), Lake City, FL, Zachary Rice, Panama City, FL, Bridgette Kintner, Peru, IN, and Brad Dolce, Peru, IN. 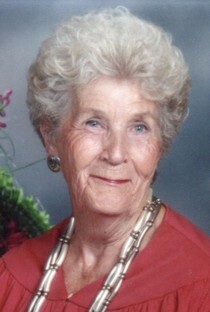 She also had 9 great-grandchildren and numerous nieces and nephews in Boerne, Texas. A Requiem Mass will be held at 1:00 pm Saturday, December 1, 2018 at St. Andrew Episcopal Church, 602 W. Superior Street, Kokomo, with Rev. Fr. Richard Lightsey officiating. Friends are invited to visit with the family from 12-1 pm Saturday December 1, at the church. In lieu of flowers, the family requests that donations be made to St. Ann’s Guild, c/o St. Andrew Episcopal Church. Messages of condolence may be left online at www.shirleyandstout.com.